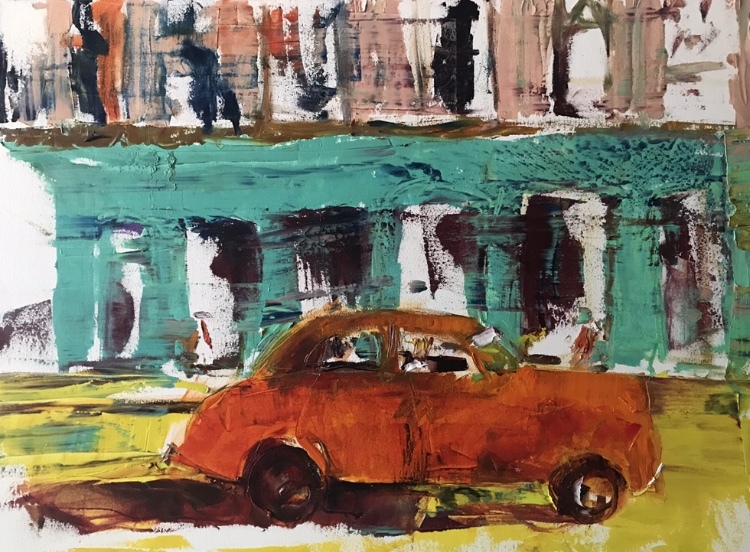 Ana’s art reflects the colors and energy of her native Havana, Cuba. Arriving in the U.S. at the age of five and speaking little English, drawing became an important communication medium. 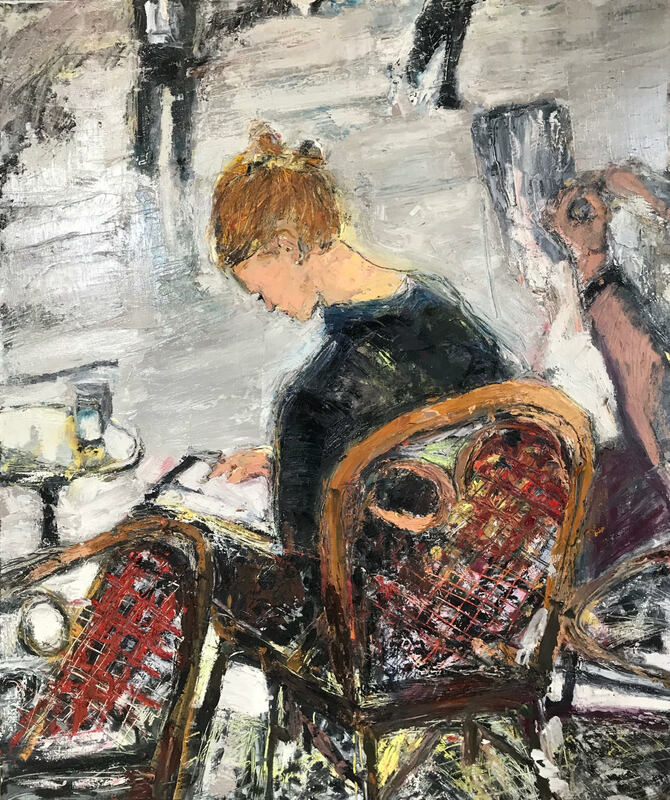 Ana’s sketchbook was always close at hand as her family moved from New York to rural Pennsylvania and during summer vacations exploring their new country. 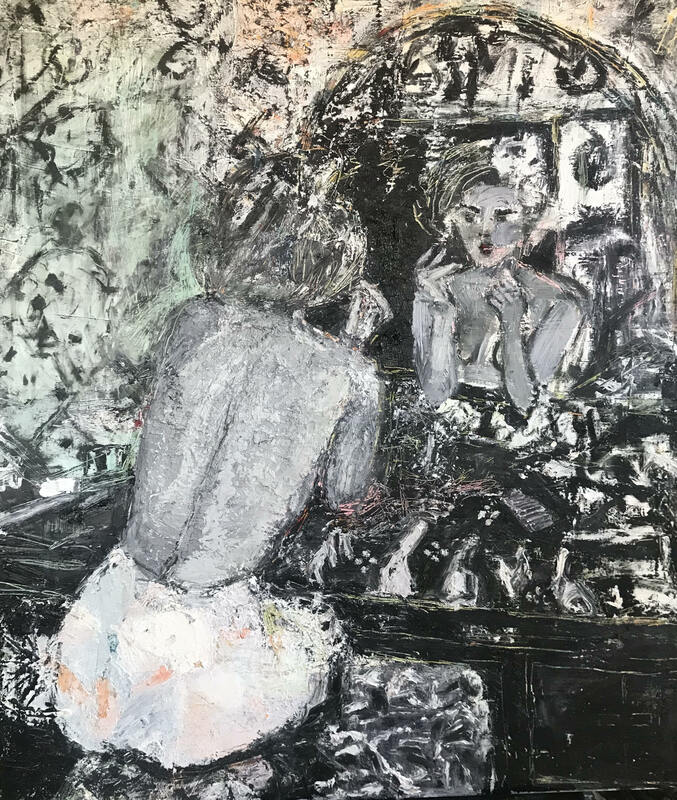 After graduating with top honors from Philadelphia College of Art, Ana received a fellowship to study in Madrid and traveled extensively throughout southern Europe, continuing to capture the images she saw in her ever-present sketchbook. She eventually landed in Atlanta, married and raised her own family. She and her husband, Julio, co-founded Coco Loco, a successful Cuban restaurant located in the heart of Atlanta. 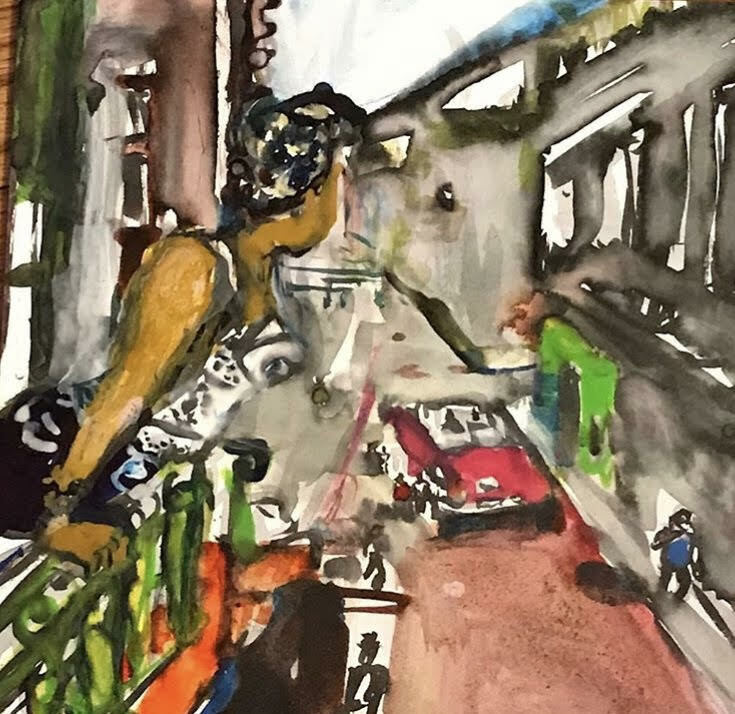 The restaurant became her canvas for capturing colorful scenes reminiscent of old Havana, traditional Spanish seaports, musical gatherings and festive carnivals. I approach painting in a gestural manner, working fast to capture images with quick impressions. My work echoes Bay Area Figuration of the 1950s and 60s, equating the rhythm of my painting with the rhythm of the subjects I paint. 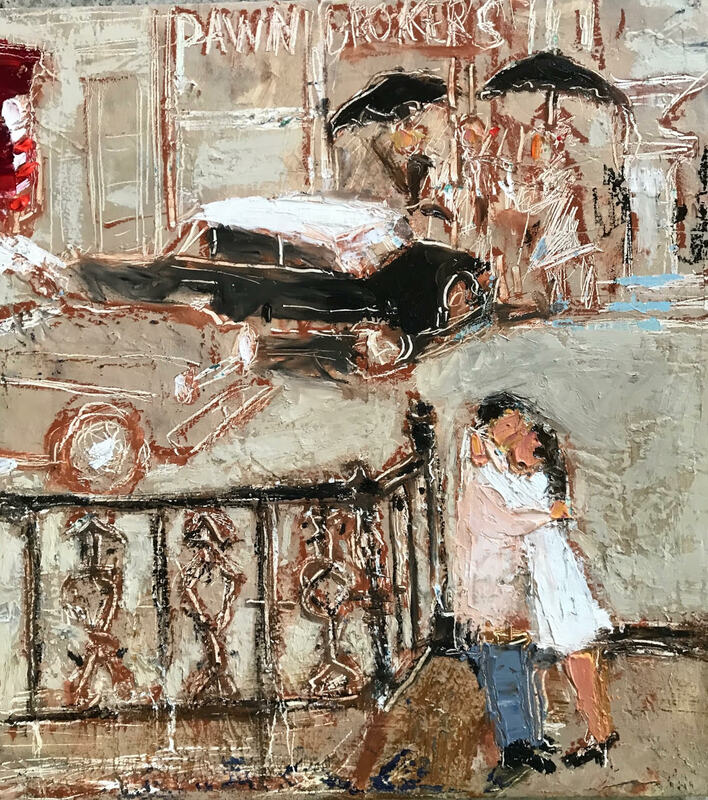 I left Cuba with my family at a very young age and still vividly recall the colors, energy and flavor of my native land, all of which are reflected in my art work. 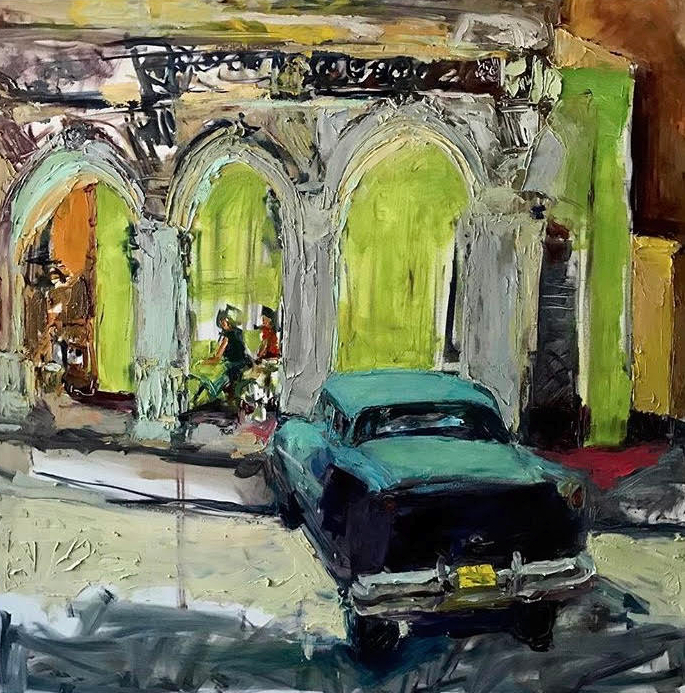 I often choose to paint scenes of Old Havana - buildings, landscape, people, cars and architectural gems. These are cherished memories, moments that form my life that most profoundly continue to make an impression. I paint by observing and capturing images of the world around me–out of a complete visual impression. I identify closely with action painters, applying paint in very fast gestural free style, capturing quick reactions to imagery. 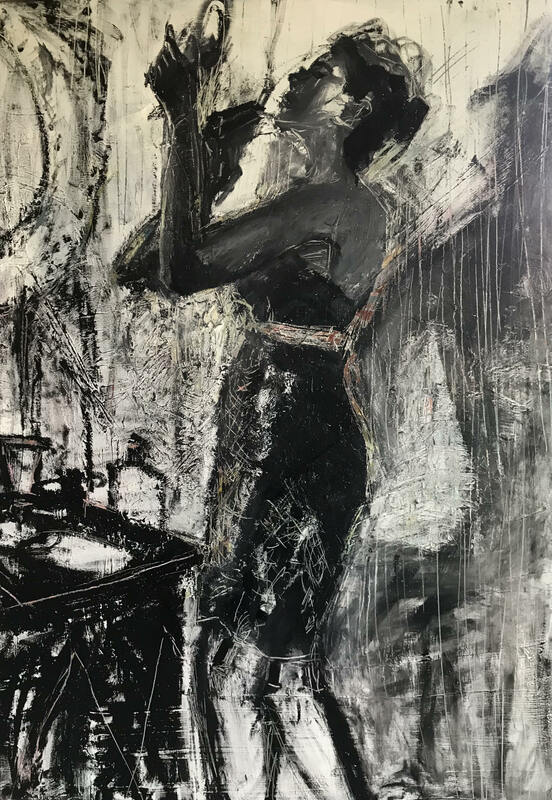 My most successful works are done quickly, intuitively applying paint freely to essentially arrive at the essence of the person, place or thing. I have a strong passion for the process of applying paint and for the physical aspect of the work. I often paint an image over and over again to arrive at the real essence and impression in front of me. In the purest form, I apply marks through a process of construction, breaking down masses, building from planes, surfaces, spaces and objects, always being mindful of structure. While my preference is to paint from life, I often use photography as a tool to help formalize my pictures. 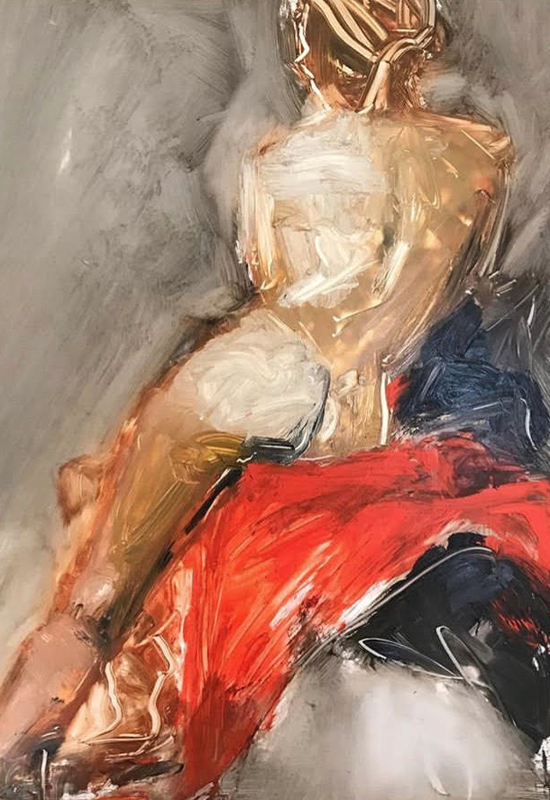 I am moved to combine figure, ground and brushstroke into a painterly style, giving the eye just enough information so the image holds together.